Illustration is widely regarded as a position of commission, i.e. an idea or premise is given to the artist to interpret and filter into a finished product. Historically, this relatively simple idea has played a large role in the formation of art practice. 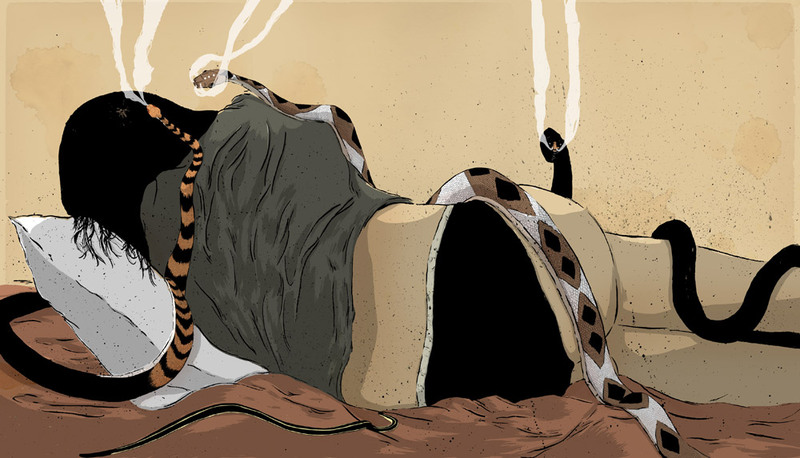 Just as the commissioned works of the Renaissance painters are so revered both in their time and now for their cultural relevance, the work of contemporary illustrators can be valid comments in the modern dialogue of culture. Why is it then, that the title of "Illustrator" has a jarring effect on many purveyors of art? 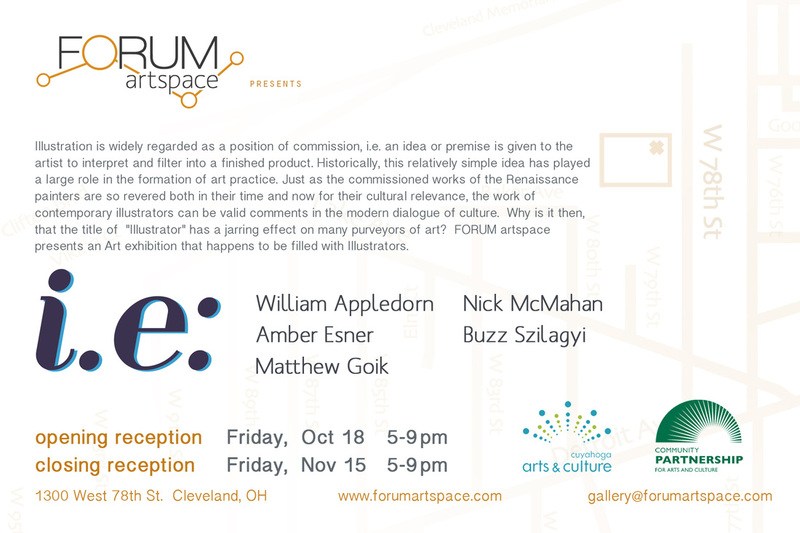 FORUM artspace presents I.E. an Art exhibition that happens to be filled with Illustrators.